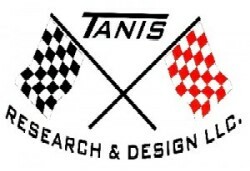 Shaft Alignment Steps – Tanis Research and Design LLC. 1) Direct drive Inboard Ski Boats should have the shaft alignment checked and adjusted annually, typically in the spring. 2) First you MUST check to see if the strut bearings are still good and not worn. Carefully grab the prop and lift up, and side to side, but primarily up and down. If there is “play” and you feel “slop” up & down the bearings are worn & need to be replaced before an alignment can be achieved. 3) Remove motor box, and rear center floors, spray motor mounts with WD-40. 5) Slide the 4″ long hose with stuffing box forward toward the engine and visually check where the shaft is riding in the shaft log, it should be near the center of the opening, if riding low you know the engine needs to go up. It is important to keep the shaft near center of the opening, there is only about an 1/8th inch clearance all the way around. 6) Remove the (4) bolts holding the shaft coupling to the trans coupling, and slide the shaft aft an inch or 2. Clean face of shaft coupling and trans coupling with emery cloth or 320 grit sandpaper. 7) Slide shaft forward and into the trans coupling, hold the trans coupling still with one hand and rotate the shaft several times to “seat” the 2 halves. 8) While holding hand pressure pushing the shaft forward check the gap between the two coupling faces at top, bottom, both sides, and NOT at the bolt holes with a feeler gage. Books will tell you to use .003″ feeler gage, in my shop I use a .0015″ feeler. 9) With the shaft centered in the shaft log and you get a gap at the bottom of the couplings you will need the raise the back of the engine. If the gap is at the top of the couplings you will need to raise the front of the engine. 10) On rare occasions or with an engine re-install a gap on either side will require the move the engine right or left. 11) When you get to the point where the feeler gage will not enter between the coupling halves, or very snug with a .0015″ gage you are almost done. 12) Tighten all engine mounts and check gaps again to verify nothing moved when tightening. 13) Reattach coupling bolts, shaft stuffing box hose, clean everything up, your now in alignment.